How we talk about food dictates how we perceive it, how we respond to it, buy it, cook and eat it, but increasingly also how we produce it. Yet we all know that the food chain is rife with claims, imagery and promotions that are, at best misleading and, at worst, tantamount to deceit. An outrageous recent example of this was the fake farm scandal, in which the supermarket Tesco was exposed for marketing products from farms that don’t actually exist. This is fake provenance on a massive scale – and was rightly condemned – but there are many less obvious and more insidious examples coming to light. Earlier this year a plucky group of campaigners won a small victory over fast food chain Pret A Manger. 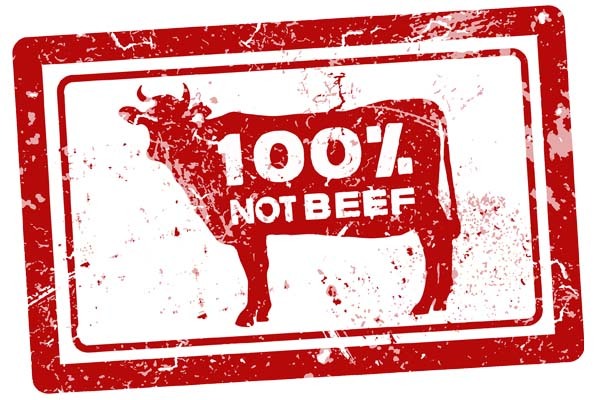 The Real Bred Campaign took exception to Pret’s claim that it makes “good natural food”, was “doing the right thing… naturally” and had a “mission” of “avoiding the obscure chemicals, additives and preservatives common to so much of the ‘prepared’ and ‘fast’ food on the market today”. The group argued that in fact some of Pret’s breads contained artificial additives commonly used in industrial bakeries, such as E472e (diacetyl tartaric acid esters of mono- and diglycerides) and E471 (mono- and diglycerides of fatty acids) – ingredients that don’t fit easily into the definition of ‘natural’. The Advertising Standards Authority agreed and told Pret to stop implying that its food was “natural” unless its products and ingredients were in line with consumer expectations of that term. This was a key decision because it acknowledged that consumers have legitimate expectations of the foods they eat and that the words we use to describe foods should not be misleading. When we eat Parma ham or Cumberland sausage we expect it to be from that designated place of origin. When we buy or eat something that claims to be natural, fresh, healthy, handmade or sustainable we expect those words to reflect the true nature of the food. But in a world where marketing rules, words can quickly lose their meaning, which is why we have increasingly complex regulations around food and food advertising. We couldn’t have predicted it then, but that decision laid down a marker for the battles that we are seeing today over words like “meat”. Across Europe and elsewhere in the world, meat producers are lobbying to have words associated with animal-based foods, such as “meat”, “bacon”, and “burger,” removed from vegetarian and vegan products, arguing that they are misleading to consumers. The argument seems pretty straightforward. When consumers hear or read the word “meat” (and by extension “milk”, “eggs” or “cheese”) the expectation is that it is an animal product. Indeed you could argue that putting the word vegetarian or vegan in front of the word “meat” is the ultimate oxymoron. The debate hasn’t been without its comical moments. In January of this year Marks and Spencer courted controversy on multiple levels for selling a cauliflower “steak” – sliced cauliflower with a herb dressing – wrapped in plastic, for the high price of £2. But overall this is a serious matter. In 2016, in a case dubbed “Schnitzelgate” by the media, the German agricultural minister called for a ban on misleading phrases such as “vegetarian schnitzel” and “wurst” saying these names should be legal only for animal based products. This was followed in 2017 by a call from Dutch politicians for a ban on meat names for products that contained no animal protein. In October of the same year the Dutch food authority gave The Vegetarian Butcher until March 2018 to rename products, such as its “speck” (similar to “spek”, the Dutch for bacon) on the grounds that it was misleading consumers. In April this year the French government approved an amendment to the country’s agriculture bill that prohibits foods largely based on non-animal products from being labelled as if they were meat. Under the new regulation, France’s agricultural ministry will be tasked with compiling a list of animal-related product names, like “bacon”, that can only be used to describe animal origin products. It will also be aiming to set a maximum percentage of plant origin content in products marketed as being of animal origin. It is depressing when regulation reaches this level of detail, but thanks to a long-standing “anything goes” attitude to marketing hype this where we are heading. The controversy is also raging in the US, the land of the burger, where regulation is frowned on and the corporations – and their lawyers – rule the roost. There vegan food company Hampton Creek was recently the focus of a lawsuit by Unilever, maker of Hellmann’s mayonnaise, over the use of the word “mayo” in its vegan condiment, Just Mayo. The US Food and Drug Administration (FDA) initially also weighed in agreeing that ‘mayonnaise’ referred to a product that was made with eggs. Unilever eventually dropped its suit and Hampton Creek announced that it had come to an agreement with the FDA to make changes to its labelling which included making the words “egg-free” larger and adding the description “Spread & Dressing.” An image of an egg with a pea shoot inside of it was also made smaller. There was less compromise, however, in Missouri last month when state lawmakers passed an agriculture bill that included a provision prohibiting plant-based products from being labelled as “meat.” This measure would ban companies, including those making lab-grown meat analogues, from using the term “plant-based meat” to describe their products. The bill gives companies until the end of August 2018 to comply. While regulators around the world struggle for clarity on the meat-versus-veggie question, they have all but abandoned any notion of clarity when it comes to genetically engineered crops and foods. Multinational corporations and the research establishment are engaged in what increasingly looks like a global conspiracy to promote the idea that these new techniques – the so-called GMO 2.0 – ‘more or less’ mimic nature and so should not require the inconvenient red-tape of safety evaluations, regulation and labelling. Biotech companies are looking to reap bumper profits from the patents on these processes which are being used to produce food products promoted as “sustainable” and “authentic”. They also persist in calling them ‘natural’ even though the genuine biological products of nature are excluded from the patent domain. The public push, to consumers and to those in food service, includes social media campaigns with hashtags such as #EmbracingNature and a communications playbook advising PRs to talk about these products in people-friendly terms like “improving” food or “based on a natural system”, rather than talking about genetic engineering, laboratories, radiation, vats, Petri dishes or bio-printers. Make no mistake; these techniques are still genetic engineering; they still disrupt the organism at a profound level, with no predictable way of knowing what the long-term effects of that disruption might be. The people behind animal product analogues and genetic engineering – both facets of the same relentless processed food market – are often thought of as pioneers and thought leaders. They aren’t chefs or nutritionists; they’re tech giants like Microsoft founder Bill Gates, Sun Microsystems’ Vinod Khosla, twitter co-founders Evan Williams and Biz Stone, and PayPal cofounder Peter Thiel. These are men who like to believe that they don’t play by anybody else’s rules and that limits – even planetary ones – are there to be broken. It’s ironic, then, that so many of the new ‘disruptive’ food technologies, from eggless ‘eggs’ to chickenless ‘nuggets’ to bio-printed ‘cheese’ or ‘chocolate’ to lab grown ‘meat’, need to co-opt a lifetime of trust and recognition earned by the foods they aim to usurp, in order to carve out any kind of market. This kind of branding and marketing undermines notions of integrity of provenance and its hype and promotion suppresses real questions and more nuanced conversations about authenticity and sustainability. In an honest market, we would call things what they are and let the chips (and burgers) fall where they may. So ask the question – why aren’t we doing that? It’s a key enquiry in the development of true sustainability. 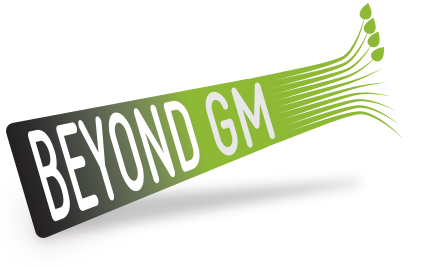 Pat Thomas is the director and co-founder of Beyond GM, which will be co-hosting the Sustainability Roundtable at the H&C Expo, at the Celtic Manor July 17-18. This article first appeared in Hospitality & Catering News, the third in our series challenging chefs and others in food service to consider more deeply the many issues around sustainability. See also: Dead ends on the road to sustainability, Something fishy about sustainable fish, chef? and Sustainability: Are you a leader or a follower?